My bulletin board is in constant rotation. There are layers upon layers of "hairspirations", editorial spreads and poems torn from The New Yorker. Below are the few things that I just can't cover up, my front and center. My girls! When I worked at Metier there was nothing we liked more than an impromptu photo shoot with random props. This picture makes my day! 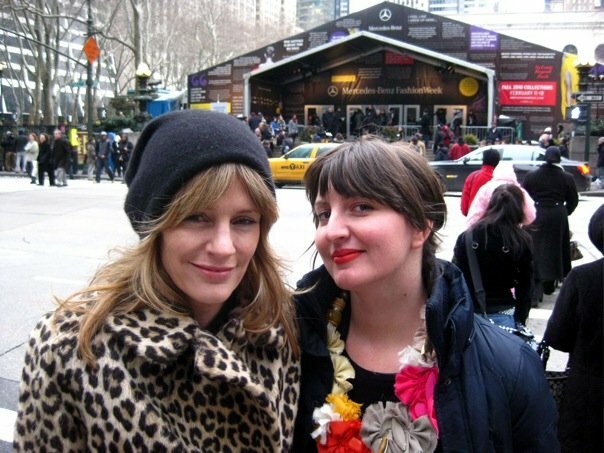 Sheri and I at NYFW, when the shows were still at the tents. 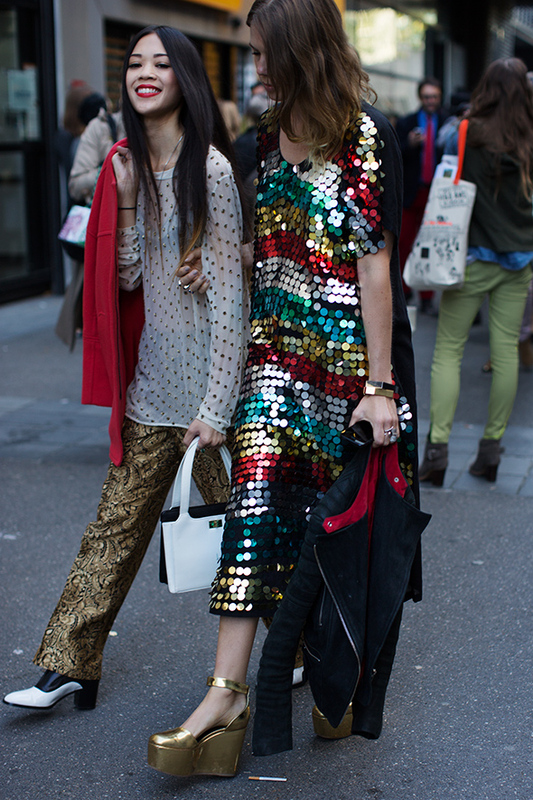 I was pregnant, really cold, really tired and as happy as could be. 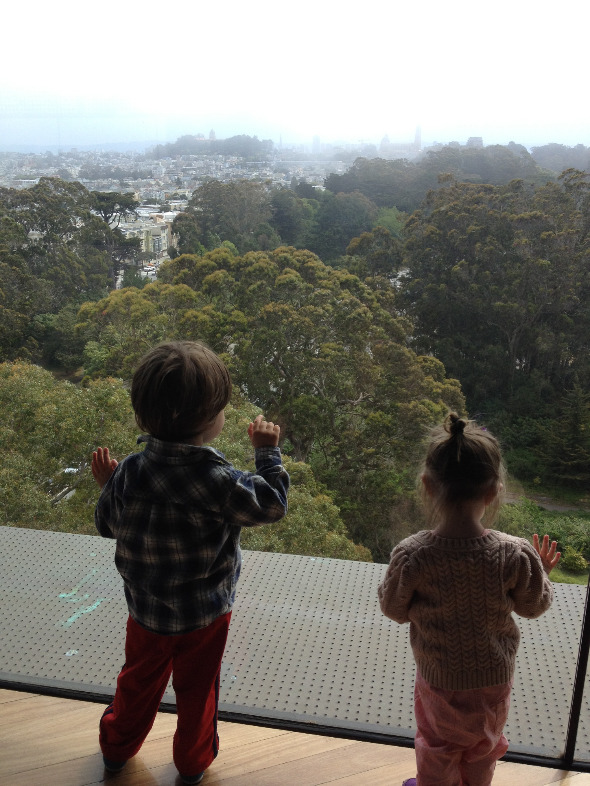 Augie and Lou at the de Young tower, or as known to them as the tippy tippy top. If anything covers these up it will be worthy of an update.